Brazilian vehicle customiser says specially-adapted Scania turntable ladder truck is world’s first. A Scania P 440 6×4 has been given a unique overhaul by a specialised vehicle customiser based in Brazil. In a complex project that involved several years of development and extensive consultation with fire safety experts, Triel-HT Group fitted the turntable ladder fire truck with an Allison 4500 automatic transmission, a 7,000 litres-per-minute pump, a breathable air track for rescue at heights and an inlet and outlet water fittings at the rear of the vehicle. 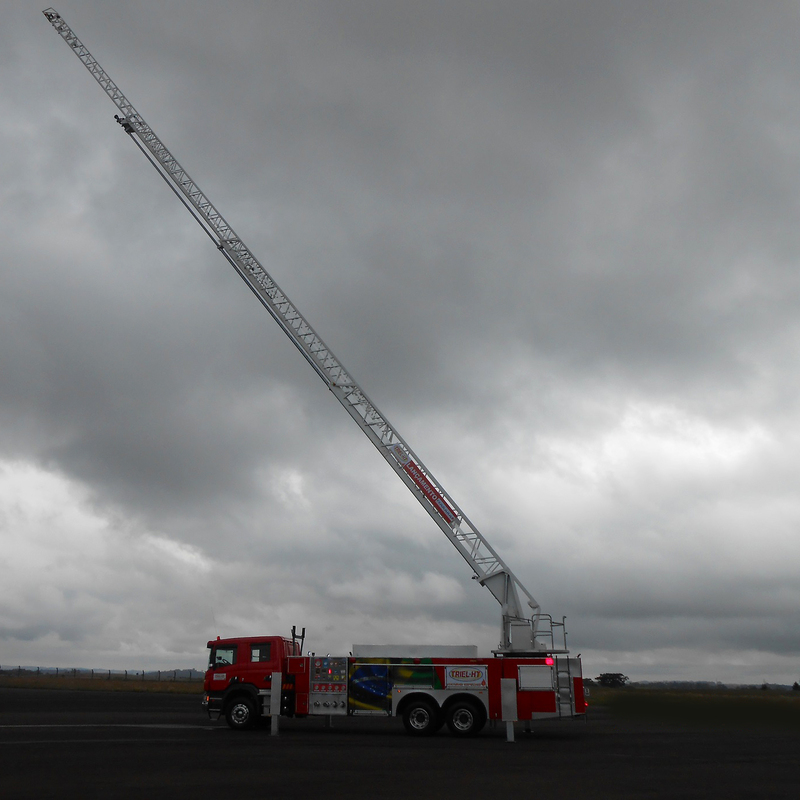 To top it all off, the truck’s ladder has a reach of 42 metres. The vehicle will be used as a fire engine for Novelis, an aluminium lamination and recycling company based in São Paulo state. It’s not the first time that Triel-HT, whose experience of speciality vehicle production stretches back 35 years, has customised a Scania truck. “We have over 200 fire trucks and other customised vehicles based on Scania P 250, P 310, P 440 and P 360 models in the 4×4, 6×4 and 4×2 versions,” explains Marciano Dalla Rosa, company director. There was also the additional challenge international fire safety regulations, with the yardstick being the US National Fire Protection Association’s (NFPA) standards. The turntable ladder truck project was actually first conceived back in 2012 and was so complex that Triel consulted with a US-based firefighting team to find out whether the vehicle met the international standards. “We spent three years of hard work on the development, assembly and testing of the vehicle, with the support of US firefighters,” says Dalla Rosa. The Scania chassis scored highly in that regard too. “We have an internationally certified test track where we always test and collect data on the chassis we use and the Scania chassis are the ones that have the best NFPA standards,” says Dalla Rosa.